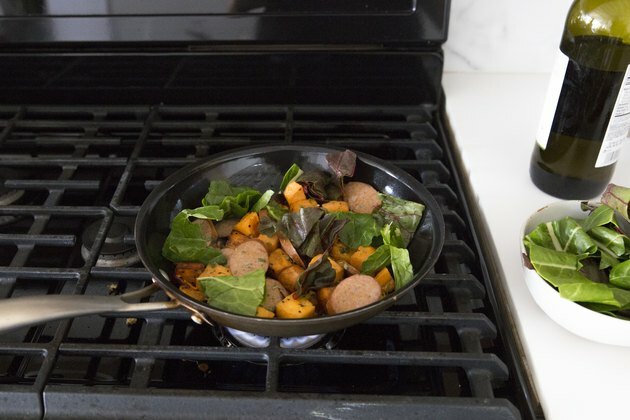 Go with the leanest choice when choosing a sausage, and pick a metabolism-boosting spicy option. 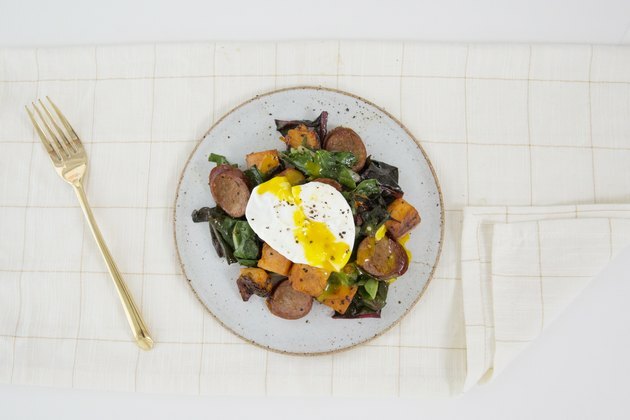 When choosing what eggs to use for this healthy hash, go for Eggland’s Best, which boast six times more vitamin D and 38 percent more lutein than ordinary eggs. Perhaps the most unique ingredient in this delicious hash is the apple cider vinegar, which keeps the flavor of the dish bright and balanced. 1. Heat the oil in large (PFOA-free) nonstick skillet over medium heat. 2. Take the unpeeled and scrubbed sweet potato and cut into a quarter-inch dice. Stir in the sweet potato, white parts of the scallions, two teaspoons of the vinegar and quarter-teaspoon of the salt, cover and cook for 10 minutes, stirring once. Stir in the sausage, cover and cook until the sweet potato is tender, about three minutes. 3. Uncover and saute until the sweet potato is lightly caramelized, about five minutes. Add the chard, green parts of the scallions, rosemary, remaining one teaspoon of vinegar and quarter-teaspoon of the salt and saute until the chard is just wilted, about two minutes. Cover and set aside. 4. Meanwhile, fill a large, deep skillet with two inches of water and bring to a boil over high heat. Crack Eggland’s Best eggs directly into the water. 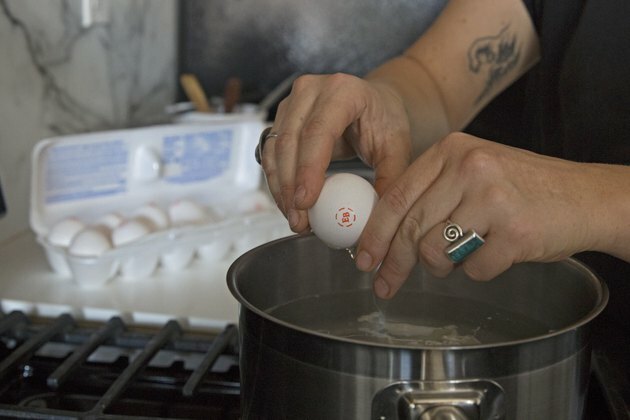 Reduce heat to low, cover and poach until the whites of the eggs turn opaque. Remove the eggs from the saucepan with a slotted spoon. 5. Divide hash onto two plates, top with Eggland’s Best eggs and sprinkle with the remaining eighth of a teaspoon of salt.